It’s no secret that family fights over wills can be vicious. About one trillion dollars will change hands in this country over the next two decades, and lawyers are already witnessing the fallout. Some lawyers say that disputes over inheritance are going to lead to a large number of court cases. It’s no secret that family fights over wills can be vicious. Michael's Essay: Six years after the financial collapse, no high-level executives have been prosecuted. Why is that? Karl Ove Knausgaard: Michael talks with the Norwegian writer, whose six-volume series, My Struggle, is an international literary sensation. Unsparing and often unsettling, his writing has been compared to Proust. Telephone: The late Mike Nichols and his comedy partner Elaine May with their classic sketch -- perhaps the best-ever illustration of miscommunication between the sexes... and lousy customer service. Someone dies and an unholy war erupts over who gets how much of the estate. It might be adult children contesting their late parent's wishes, doing battle with a step-parent or challenging each other to claim a bigger piece of the financial pie. There's more at stake now than ever before. According to a study by BMO Investorline published this year, we are about to witness the biggest inter-generational transfer of wealth in Canadian history, from those born in the 1930s and '40s to the baby boomers. About one trillion dollars will change hands in this country over the next two decades, and lawyers are already witnessing the fallout. “We are seeing a significant increase in cases coming to the courts, but also coming around dining room tables,” said Laura Tamblyn Watts, a senior fellow at the Canadian Centre for Elder Law in British Columbia, in an interview with Michael Enright on CBC Radio's The Sunday Edition. Jan Goddard, a Toronto lawyer with expertise in trustFixe, added that Canada’s recent economic prosperity means that people in their 80s and 90s have more wealth to leave to the next generation. “In a city like Toronto, where real estate has increased in value astronomically over the last few decades, you have people who historically would have been of very modest means, who now have assets that are worth up to a million dollars just in their house alone,” Goddard said. Tamblyn Watts said that their children – the baby boomers – are "the most indebted generation that Canada has ever had," and that they often feel entitled to the spoils, counting on a generous inheritance to help pay their debts and meet their financial goals. The fact that the older generation is living longer is further complicating matters. Boomers are realizing that when it comes to eldercare costs for their parents, “their inheritance is paying for it,” said Goddard. The situation becomes even more fraught when concerns arise about the mental competence of an aging parent. 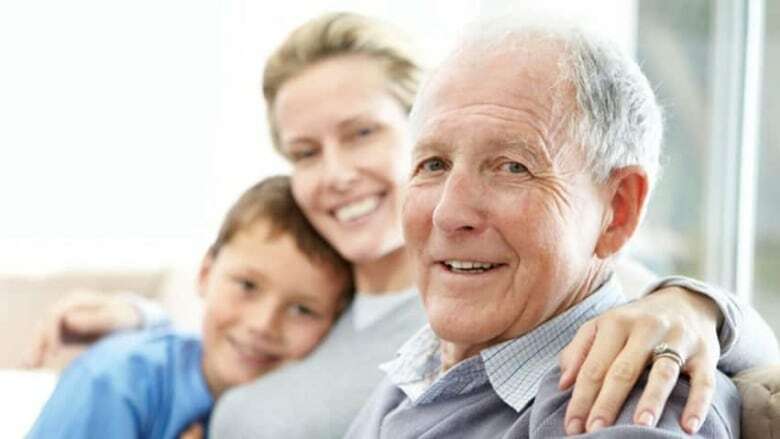 Goddard said the onset of dementia "can be a catalyst for all kinds of events within a family that precede the death of a parent,” such as getting mom or dad to make new powers of attorney or moving assets around by setting up joint bank accounts. Some people take steps to secure a good financial position for themselves while their parents are still alive, even trying to have assets gifted or transferred to them so they no longer form part of the estate. “Elder abuse is a huge piece here," said Tamblyn Watts. "It’s not just that people may themselves have diminishing capacity, they may have diminishing social capacity. "So if you have the unsuccessful son in the basement who’s influencing mom, cutting off the mail, cutting off the telephone calls, not taking her to see family or her Bridge club or her faith organization, increasingly, that person is becoming more and more isolated. So the only voice you hear is the voice who’s telling you your family doesn’t care about you." Some adult children ask for an advance on their inheritance. This might be a significant loan to help buy a house or a request that the parent invest in a fledgling business that may later fail. Tamblyn Watts said that all too often, these loans are not documented and the recipient may later reframe them as gifts. Goddard said that when clients ask for her advice on this – that is, should I give my kids the money now, since they'll be getting it later anyway? — she will try to talk them out of it. “If I have my druthers, none of my clients are giving any of their money to their kids before they die,” she said. In most of Canada, there are limited grounds to contest a will. Anyone who is a dependent of an estate or perceives they are a dependent can challenge the document if they believe they have not been provided for adequately. However, the situation is different in British Columbia, a province some lawyers consider “the Wild West” in this area because of additional laws that come into play. In March of this year, the B.C. government consolidated four pieces of relevant legislation into the Wills, Estates and Succession Act. "Some people call it the 'How to Vary a Will Act,'" said Tamblyn Watts. “B.C. 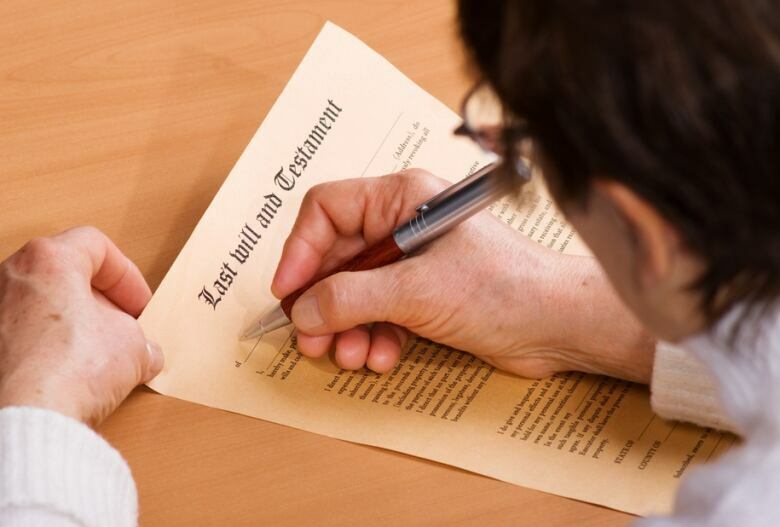 has a bit more of a libertarian side to it… and tends to be on the cutting edge of the law.” The effect has been that British Columbians have more avenues to contest a will than other Canadians. Problems can also arise when there are conflicting documents. A bank may present a power of attorney form to a client, to give an adult child the ability to pay bills. However, the form signed at the lawyer’s office may give that power to a different person. “The banks don’t like powers of attorney that they haven’t drawn up, and in my respectful opinion, banks should not be wandering into these waters,” said Tamblyn Watts. All of these complications can have the effect of destroying relationships, leading to families of "people who will probably never speak to each other again when the matter is finally resolved, whether that’s at court or through negotiation or mediation,” said Goddard. Problems are most likely to crop up when people die without leaving behind a valid will that is up to date. “I always say, April’s the time you have to look at your taxes — you might as well look at your wills and powers of attorney at the same time," said Tamblyn Watts. "It’s death and taxes, and they’re both inevitable." To listen to the full interview, click on the audio link at the top of this page. If you're on mobile, scroll down to find the link.